I'm pleased to announce that the first video from one of my two panel sessions from Streaming Media West is now online at: http://streamingmedia.com/videos/. This session discussed online publishing and marketing strategies by a diverse panel of industry speakers. I was thrilled to moderate this panel session and I thank Amir Ashkenazi, Christina Cece, Sanjay Desai and Robb Miller for their contributions (see their bios below.) I'll be featuring other videos from the conference in upcoming posts including the other session I moderated on syndication. What works? What doesn't? In world of publishers and marketers, who is really benefiting? Amir drives the overall strategy and manages operations for Adap.tv. 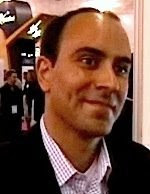 Most recently, Amir was Founder and Chief Technology Officer of Shopping.com (formerly DealTime.com), a leading online shopping service that helps consumers make informed purchasing decisions by comparing products, prices, and stores Web-wide. Amir launched and successfully led Shopping.com's technology and research efforts. Shopping.com completed an initial public offering in October 2004; the company was later acquired by eBay (NASDAQ: EBAY) in August 2005. Previously, Amir was Director of Research for CommTouch Software. He studied Computer Science and Economics at Tel Aviv University. The FeedRoom is a white label video management service and leading broadband video communications company that powers the video sections of some of the largest sites on the web, including the New York Times, Intel, HP, and BusinessWeek. With end-to-end technology solutions, media and marketing services, and content production, encoding, hosting, and syndication services are provided for public and corporate sites. The FeedRoom's unique one-stop-shop serves corporations, media companies, and government agencies. Customers like Wal-Mart, General Motors, Intel, The New York Times, Sun Microsystems, USA Today, Meredith Interactive, McGraw-Hill, and The Pentagon Channel already use The FeedRoom's broadband video products to communicate with the media, consumers, partners, investors, and other key stakeholders. I shot this short video with my Flip camera following the panel session. While it's not too compelling it did capture the interest and follow up questions from some the audience.